Home is where the heart is – Gingerbread optional! First Christmas as a couple? Aww, that’s so sweet! 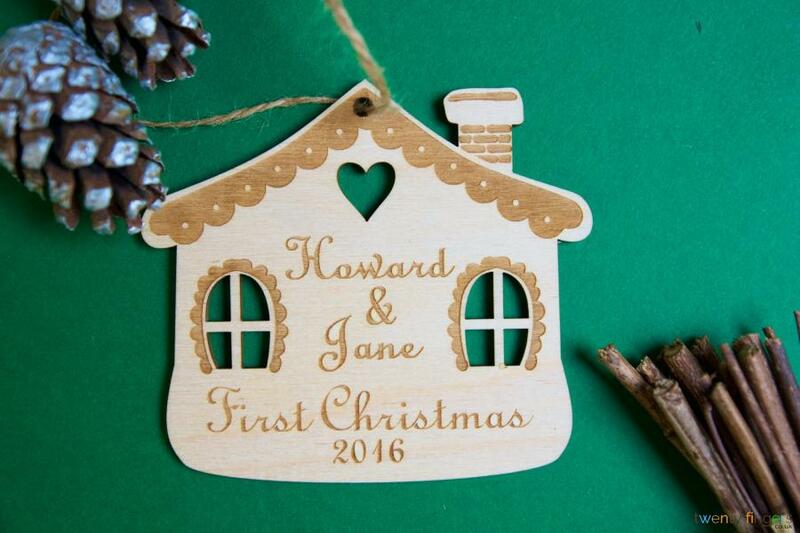 If it’s all mistletoe and wine for the happy couple, then what could be better than a personalised gingerbread house decoration to mark the occasion? Nothing. Why choose a wooden tree decoration? Add leave it up to us to do our thing! Free UK delivery and returns – flying reindeer powered (not really)! Here at Twenty Fingers we love Christmas, and we love our customers, too so it’s Free UK delivery on orders over £39 – making it easy for you to celebrate the season! Our returns policy won’t leave you cold. Need a refund? It’s a done deal, so order now! 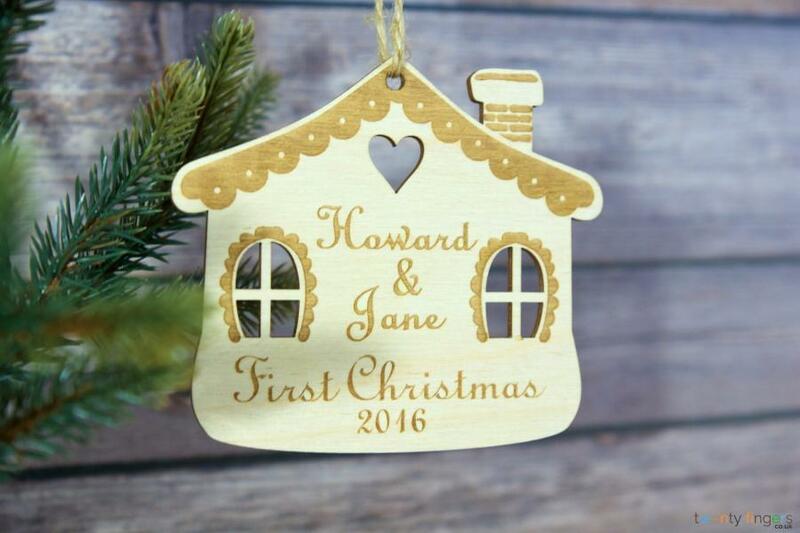 And if you need more ideas, check out the rest of our unique personalised Christmas tree decorations!